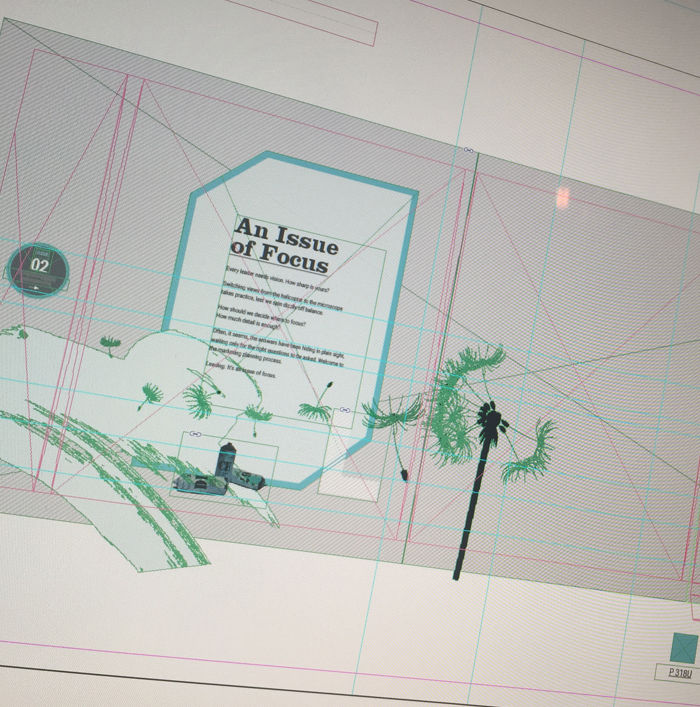 Issue 02 - The Focus Issue. Every leader needs vision. Switching views from the helicopter to the microscope takes practice, lest we spin dizzily off balance. How should we decide where to focus? How much detail is enough? Often, it seems, the answers have been hiding in plain sight, waiting only for the right questions to be asked. Welcome to the marketing planning process. Leading. It’s an issue of focus. Cheltenham-based street artist Dice67 & Decay (from Bristol) were commissioned for the cover. An 8 meter by 3 meter graffiti wall was the canvas and the brief was simply - what is your interpretation of "Focus"?. How as urban artists do you select the focus of your piece and commit to a core idea. 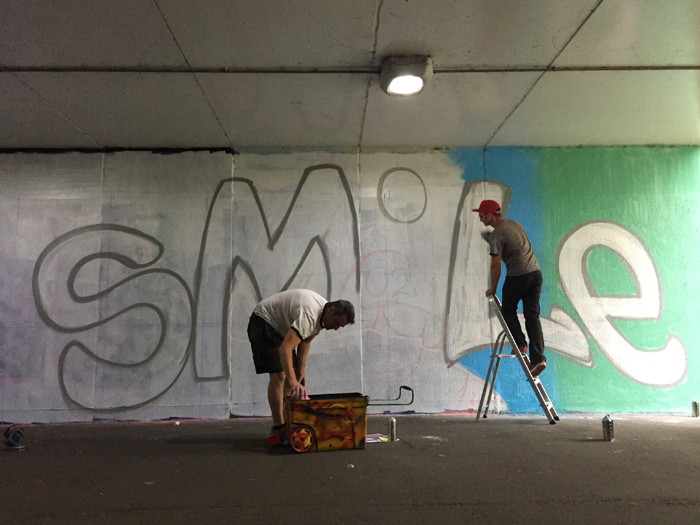 The now much revered "Smile" was created on the Honeybourne line at Waitrose in Cheltenham. There has been a lot of negative press lately; the Grenfell disaster, attacks in Manchester and London, even the negative slating during the election campaigns, so the focus was simple, create a positive message and a reason to smile. The Challenge was how to make a freehand spray of such large scale fit the cover. This issue has the addition of a throw out on the inside back cover which helped proportions and features a panoramic view of the graffiti by Dice67 & Decay on the outside cover. 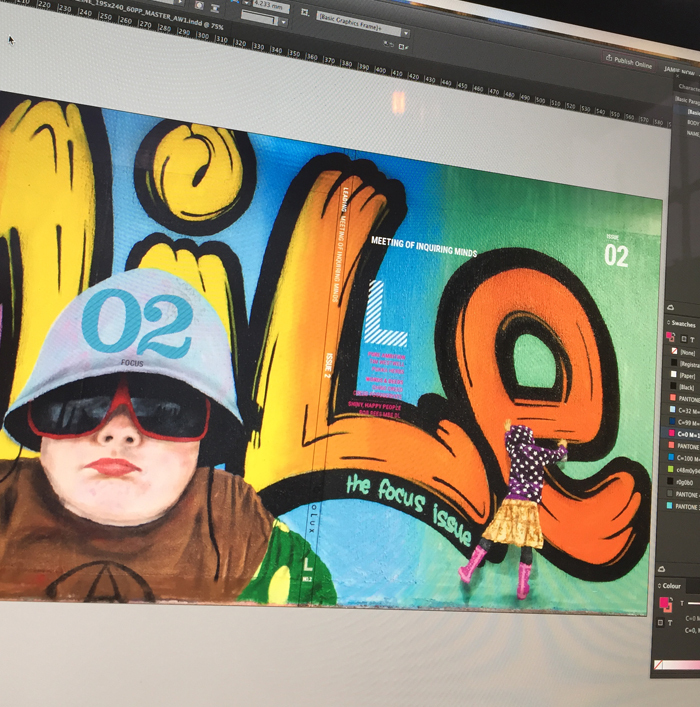 (The throw-out makes the cover a 6pp rather than the traditional 4pp and therefore gives you a longer and thinner landscape layout to use which is perfect to show off the graffiti). The artwork was firstly composited digitally to a grid, which was then free sprayed on to the wall by the talented two.8 hours later the "Smile" masterpiece was born and a long exposure HiRes image was taken thanks to StillMovingMedia with just enough light left in the day. The result of a bunch of creative individuals coming together to produce a really inspirational piece of art with true value, giving people a reason to smile!